Iakovos Kambanellis, one of the most prominent figures of post-war Greek literature, died yesterday at the age of 89. Kambanellis was born on the island of Naxos and studied design in Athens. During the Nazi occupation of Greece in WW2 he became actively involved in the Resistance movement. He was arrested by the German occupying forces in 1943 and was sent to Mauthausen-Gusen concentration camp, from which he was liberated by the Allied Forces in 1945. His legendary Mauthausen novel, which describes his experience as a concentration camp survivor, was set to music by Mikis Theodorakis and became one of the most influential works in Greek culture. 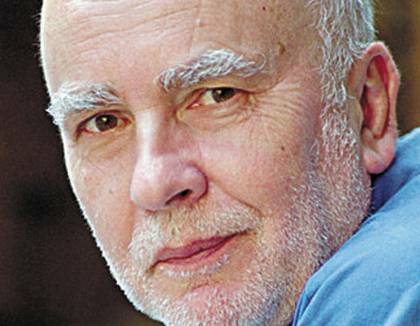 He wrote more than twenty plays and twelve film scripts, including Stella by Michael Cacoyannis and The Dragon by Nikos Koundouros. 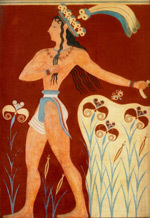 In an announcement, the Ministry of Culture and Tourism expressed deep regret for Kambanellis’ passing, noting that the deceased defined the style of post-war Greek theatre, adding that his works were deeply loved by the Greek audience, as they soberly and truthfully depicted the reality of life in Greece, its difficulties and joys. The island of Naxos is the largest and most fertile of the Cyclades. Due to its important agricultural production, it was one of the latest to open itself to tourism. For that reason, it has kept its authentic beauty which attracts every year more and more visitors. 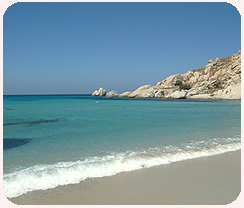 Naxos is world famous for its endless golden sandy beaches with crystal waters situated in the western coast. Some of these beaches has kept their natural beauty and are considered as some of the most beautiful beaches in Europe: Agios Prokopios, Orkos or Plaka. Ο Ανταμ Ζαγκαγιέβσκι είναι ο κορυφαίος Πολωνός ποιητής των ημερών μας και ένας από τους -πολλούς και ενδιαφέροντες- προσκεκλημένους στο Πρώτο Διεθνές Λογοτεχνικό Φεστιβάλ Τήνου ( 29, 30 και 31 Ιουλίου ). Στη συνέντευξή του στην «Ε», ο Ανταμ Ζαγκαγιέβσκι μιλά για την ποίηση, τη μνήμη, την Ιστορία, την πολιτική και τη διαδικασία της σύνθεσης απόψεων που πάντοτε οδηγεί σε καλύτερα αποτελέσματα από τον τυφλό φανατισμό.